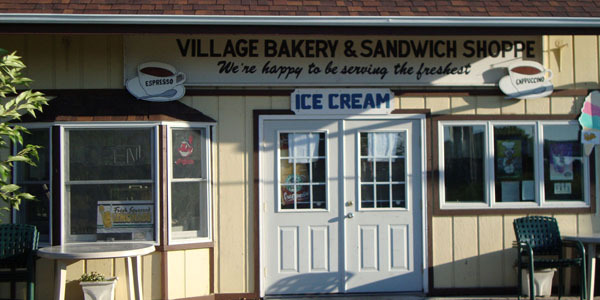 Smells of freshed brewed coffee and pies permeate from The Village Bakery at Put-in-Bay. Orders can be placed for specially made cakes and pies to celebrate birthdays, weddings and many other occassions. Stop by for lunch and try a tasty fresh made sandwich or wrap. Also, soft serve Edys ice cream is sure to cool you down during the hot summer days at Put-in-Bay.